It is very easy to make a mistake when you start your own business, especially if you have never owned any sort of small business before. 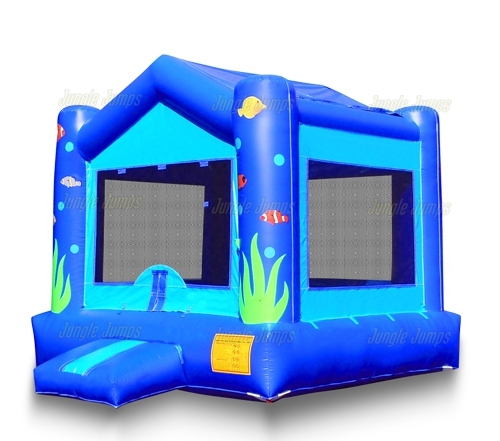 A large majority of people believe that it is a very simple matter to purchase an inflatable jump house and to rent it out. Unfortunately, owning your own bounce house rental business is a bit more difficult than simply purchasing a few bounce houses and hoping that people rent them. In fact, the difficult decisions begin as soon as you select which bounce houses you want to purchase. One of the biggest mistakes that new bounce house rental business owners make is in purchasing themed bounce houses. It is never, and we repeat never, a good idea to purchase a themed inflatable jump house as your first inflatable’s purchase. But why would you want to avoid something as adorable as a themed bounce house? 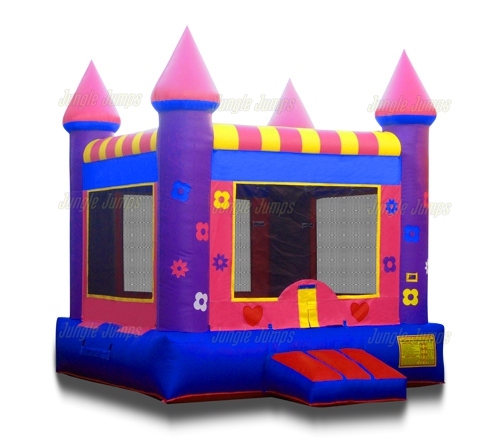 There are many reasons why it is not a good idea to purchase a themed inflatable bounce house, the biggest one being because it does not appeal to everyone. Let’s say that you purchase a pirate bounce house as your first inflatable’s purchase. You believe that the pirate bounce house looks really cool and that children will love it. A client calls asking for the options that you have available to rent and you immediately talk up the pirate house. Unfortunately, this woman has absolutely no interest in pirate bounce houses and goes elsewhere. Why would you unable to sell her on the pirate bounce house? Because her child had no interest in any sort of nautical theme. 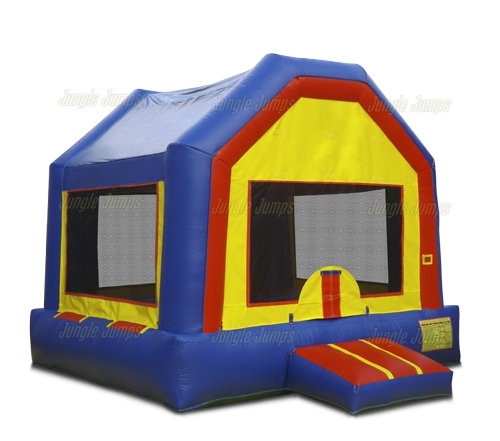 If, however, you were to have had a variety of simple, colorful inflatable jump houses available for rent it is much more likely that you would of been able to talk the parent into renting one of them. Almost all experienced bounce house rental business owners will tell you that it is a much better idea to purchase simplistic, cute bounce houses to start your business with. These have a greater array of appeal for your clientele and will help to bring in the revenue much more swiftly. 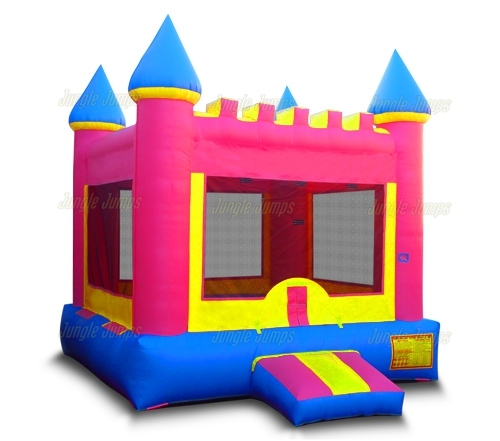 Once your business has grown substantially it is then your prerogative to add as many seem to bounce houses as you would like. The motto of any business owner, and the Boy Scouts of America of course, is to be prepared. Unfortunately, far too often brand-new business owners do not realize exactly what being prepared means and wind up in over their head. For instance, what happens if you have an event on Saturday and set up the unit for a party on Friday only to discover that there is a huge hole in your inflatable and that it will not be able to be used for the event? There are a few different solutions to this problem. The first solution is to make sure you purchase enough inflatables for sale to have one as a constant backup. This unit should only be pulled out when necessary and is the perfect way to help you to avoid this type of sticky situation. But what do you do if you did not think ahead and have not purchased an extra bounce house unit? The first option is to contact the client and to explain the situation while assuring them that you offer them a refund. Now, many business owners believe that simply offering a refund is enough to make the clients happy but the truth of the matter is when you are dealing with parents who were looking forward to using the bounce house to help distract the children during a party or event, simply offering a refund is not enough. Instead of just offering a refund you may want to contact another local bounce house business owner. When there is simply not enough time to purchase new inflatables for sale to help cover your sticky situation, asking another local business owner to help may be the best idea. Explain to the business owner that you are in dire need of a unit and that you will pay full price for the unit – even if this means paying money out of your own pocket. It is never fun to pay out of your own pocket but it is much better to lose a bit of money than to lose one client, and therefore potentially thousands of clients, for good. Remember: the best option is to always have a backup inflatable unit ready to go just in case the unthinkable happens. Every once in a while a person who owns a bounce house rental business may find that they are in some financial difficulties. Even if you follow all of the marketing strategies you have ever read there is always a chance that something may go wrong and you might not have the ability to handle the financial difficulties. At this point in time many business owners think about bringing in a partner – someone to help them handle the stress, and the financial issues, of the business. But is bringing someone into your commercial moonbounce business a good idea? On paper it sounds great – find someone that you trust and ask them to help you with all of your financial issues by becoming a partner in the business. You have someone to help shoulder the stress and you’ll have someone to help you with financial needs. But what you need to remember is that if you bring someone in to your business they not only get to share the stress, they get to share the rewards as well. Whenever you bring a new person into your business you have someone who is going to want to input their ideas and their marketing schemes as well. Can you handle that? If you think you can handle another person having as much say as you do in your business than bringing in a second person may be a good idea. If, however, you are like most business owners and you like to have your ideas be the only ones that are utilized, and your decisions be the only ones that count, bringing in a second person to help run your commercial moonbounce business might not be a good idea. If you don’t want to bring someone else into your business, and you are still dealing with financial issues, you might want to think about hiring a business manager. A business manager is the perfect person to help you deal with the financial issues in your business while still allowing you to maintain thorough control of the business. There are many business managers available who make their living helping businesses succeed so that they can reap a little bit of a profit. For many small bounce house business owners the idea of making a video commercial seems extremely daunting. The good news is that not only is it often very affordable to be able to advertise on the television now, especially if you advertise on local television channels, it is also very easy to create your own commercial. So how do you go about creating a commercial without spending tons of money? First you’ll need to know the basics – such as which stations you’re going to be advertising on and how much it is going to cost to create an ad. Ads run anywhere from 15 seconds to one minute, but it is likely that you’re going to want to start with a 15 or 30 second ad. You will need to find someone who is able to create a video for you. One affordable option is to look to college students who are studying video editing. You can pay them a small amount of money and it will give the student work experience while, at the same time, ensuring that you get a fairly decent commercial. 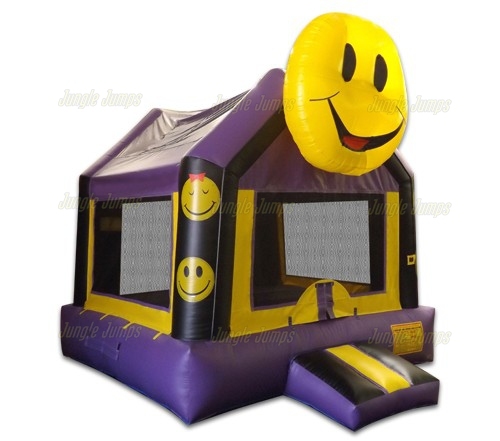 You also need to get the best units you purchased from the bounce house manufacturer’s that you have. You will want to showcase more than one unit, and if possible you will want to showcase a variety of units, including inflatable slides if you have them. You also need a large, flat area in which to set up in. Make sure that you have at least two or three different views you can see the bounce house units from so that the casual observer of the commercial will not realize that all the video was taken in the same location. Once you have set up the inflatable’s you purchased from the bounce house manufacturer’s, it is time to get some children. If you have children, or if you have friends and family members who have children, ask them if they would like to be in a commercial. Make sure that parents sign model release contracts so that you are legally allowed to put the commercial online, and on the air, without being sued. Once you have everything setup it is time to sit back, relax, and watch as your commercial is filmed, edited, and then aired. Make sure you also air the commercial on your website, and through all your social media sites as well. As a bounce house rental business owner you likely know that it is inevitable that someone, adult or child, is going to get injured on one of your units. Bounce houses are fairly safe, especially if you follow all of the rules, but unfortunately far too often people neglect to put the rules into place. This makes it much easier for children to get injured when using your equipment. When someone gets injured using your equipment is likely that the parent of that child is going to blast the information all over social media websites. How, then, do you handle this negative press? You know that the moonwalks for sale you purchased are extremely safe, but once you get one negative review about your business that states that a child got injured using one of your units you will find that you have to deal with the reality of children getting injured in bounce houses. The first thing you need to be is apologetic. Inside your head you may be thinking that the child would likely not have been injured if the people in charge were followed all of the instructions you gave them. That is likely true, but having an attitude like that is not going to smooth the situation over. Instead, make sure you are apologetic. Apologize that a child got injured while trying to have a fun time, and apologize that the family had to deal with a frustrating situation. Once you have apologize to the family it is time to make a statement using social media. In a very polite way explained that sounds houses can be extremely safe to use, just as safe as trampolines and pools, as long as all of the safety rules are followed. Put a link up on your social media sites that gives the safety instructions for the moonwalks for sale that you happen to own and rent out. Explain that you are more than happy, for a small fee, to stay and monitor the unit and the children as you realize that parents can be very busy. It is important to make sure that your current customers, and your potential customers, realize that you take both safety, and injuries, extremely seriously. If you ignore the situation you will find that the negative press about your company only grows.